Recently I went on a road trip from California to West Virginia, and I brought both of my puppies along. I selected both Blanka the French bulldog and Dolce the Pomeranian with travel in mind, but actually taking such a long trip with them was still a learning experience. And although it wasn’t as easy as traveling sans puppies, it wasn’t so bad—partially because I had the following five apps to help out. I had plenty of opportunities to use these apps, too. First, Dolce got carsick, sending me scrambling to VetFinder. Then there was the matter of finding pet-friendly hotels, which is where BringFido came in handy—and it found me much better rates than the conventional travel sites did. Lastly, I wanted to stop at dog parks along the way so that the puppies could get some exercise—but I don’t know Texarkana, Texas, all that well. Dog Park Finder came through. I even downloaded a couple of apps that would have been invaluable in an emergency. Here are the ins and outs of each. If you ever travel with your dog—even just around town—the free iOS app BringFido is an excellent resource for quickly finding dog-friendly destinations, accommodations, restaurants, beaches, and, of course, parks. In my travels, the app was especially useful for finding and booking hotels, because BringFido’s rates were in many cases the best rates I could find. The app notes each hotel’s pet policy, including the pet fee and any restrictions on the animal’s weight, along with a general description of the amenities and guest reviews. It also has a photo tab for sharing pictures of your pup partaking in dog-friendly attractions, a posting tab where you can add new events or locations to help other BringFido users, and a contact tab where you can get in touch with a dog-friendly travel expert via phone or email, just in case. You can also refine your search by language, whether the office accepts credit cards, and whether parking is available—all useful information if you’re in a new area. The only issue I had with VetFinder is that it relies heavily on user-submitted data, and as a result, disappointingly, many of the vets listed don’t have full profiles that take advantage of the search refinements. Still, if you’re looking for an emergency animal clinic, perhaps you don’t care so much what the vet’s specialty is. If you’re looking for a dog park, or if you’re not sure whether the park you’re using is dog-friendly, Dog Park Finder can help. This free iOS app uses your current location to search the surrounding area for pet-friendly (and pet-unfriendly) parks. A map with color-coded points shows you where to go: Bright green dots mean off-leash parks, dark green dots mean on-leash parks, and red dots mean no dogs allowed. Dog Park Finder also allows you to search for parks in specific cities or zip codes, and to browse parks by state. For an upgrade fee of $2, Dog Park Finder Plus offers approximately twice as many parks and more details, such as which parks have restrooms, lights, small-dog areas, benches, and fenced-in areas. In addition, the Plus version features dog-friendly rest stops (though, honestly, most rest stops are pretty dog-friendly), photos, and ratings based on user reviews. When I first started planning my trip, I looked high and low for a good, free app that would track all of my pets’ important documents—shot records, rabies reports, kennel club registration—but I couldn’t find one that worked well enough to recommend. So instead of picking up a pet-specific app, I downloaded CamScanner, a free Android and iOS app that lets you scan documents using your smartphone’s camera. CamScanner is easy to use: Just point your camera at a document and scan it. The app automatically crops, rotates, and resizes the item to make the perfect PDF, which you can then share, fax (yes, fax), or print via AirPrint. You can use tags to categorize your scans so that you can quickly find your pet’s documents, and you can sync scans across multiple platforms. Although CamScanner is meant for business users, it’s incredibly convenient for traveling pet owners—if you need to see a vet, you can just email or fax your pet’s records over. 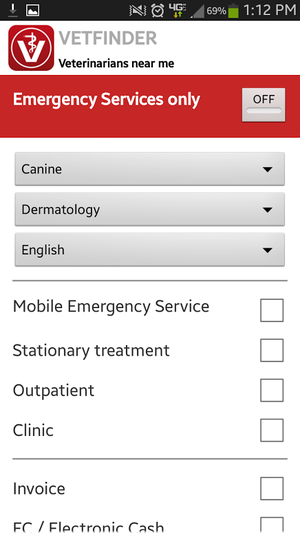 The Red Cross recently released an Android and iOS app for pets: Pet First Aid, which costs $1 and is absolutely worth all one hundred of those pennies. It features first aid instructions for dogs and cats, and includes information on how to prepare for various situations (such as traveling, giving your pet meds, and what to do in emergencies), as well as quizzes to test your knowledge. 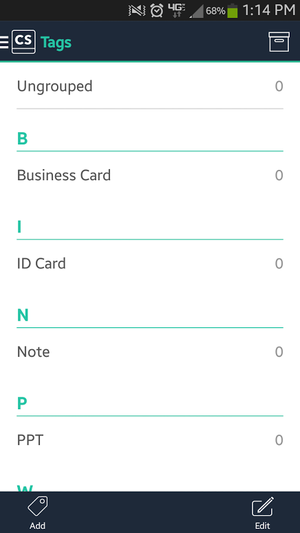 The app also gives you a place to enter your pet’s info, so you can keep track of diet restrictions, medication schedules, and vet appointments. In other words, it’s an all-in-one app that helps you prepare for any emergency. 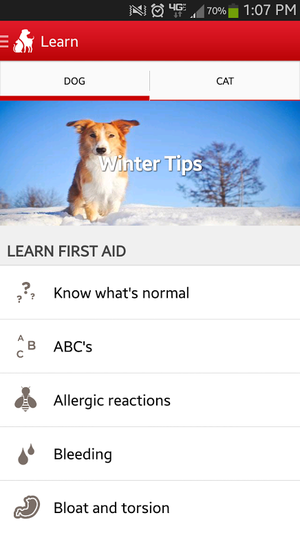 The main section, “Learn,” gives you step-by-step instructions on how to deal with allergic reactions, blood-sugar emergencies, breathing problems, burns, drowning, electric shock, and frostbite, along with other pet health problems you might encounter. You’ll also find information about what’s normal for your dog or cat, so you’ll be able to quickly assess whether they’re in trouble. For example, the app walks you through how to take your dog’s heart rate (and what your dog’s heart rate should be), as well as how to take your cat’s temperature (and what your cat’s temperature should be). Although you can find such information on the Internet, having it all readily available in-hand is convenient. Additional features include a place to store your vet’s phone number, a pet-friendly hotel finder, and tips for socializing, traveling with, and spaying/neutering your pet. I learned a few things on my 40-hour road trip with two five-month-old puppies: Not all states have an abundance of off-leash dog parks, and even fewer have dog parks with small-dog areas. Traveling with a carsick puppy is terrible, but at least there are quite a few emergency animal clinics on I-40. Also, when you’re driving for 30 hours straight, it’s hard to keep track of time, let alone when your puppies last ate. And finally, don’t underestimate how useful apps can be for keeping you sane on an expedition across the country. This story, "Five essential apps for traveling with your pets" was originally published by TechHive.